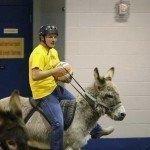 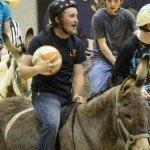 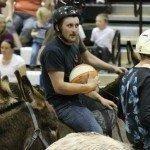 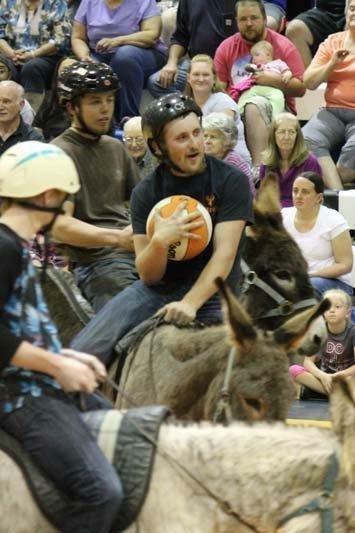 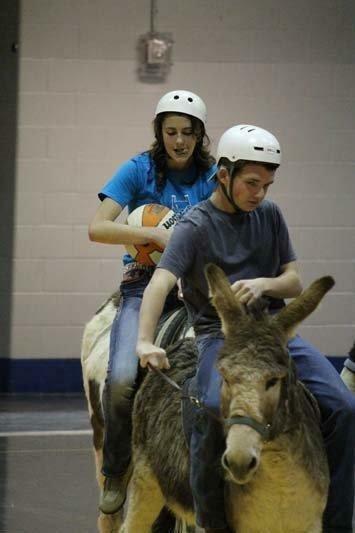 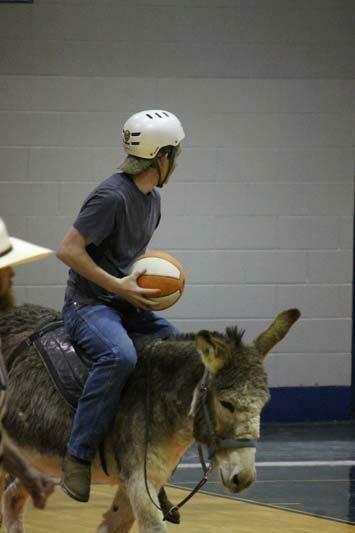 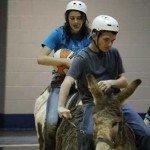 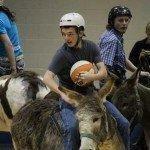 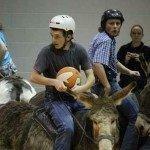 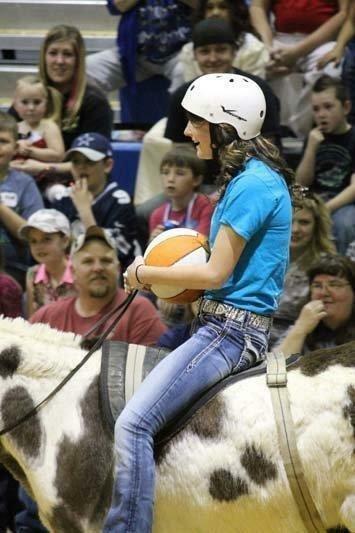 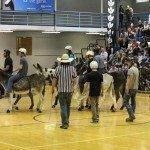 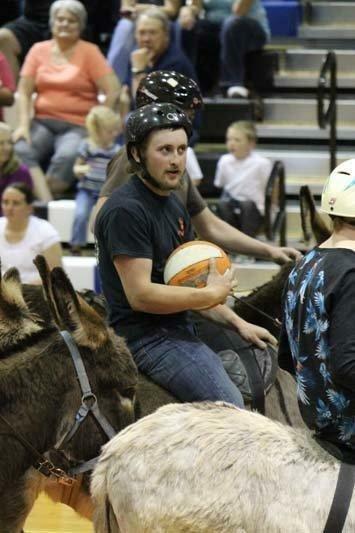 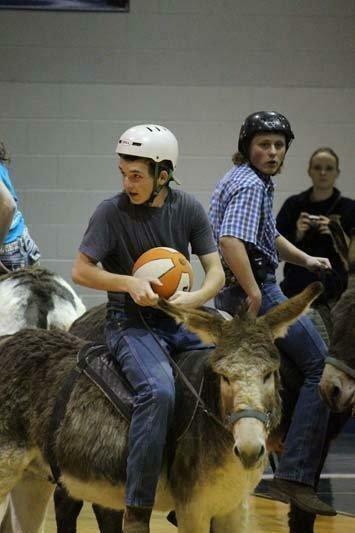 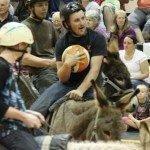 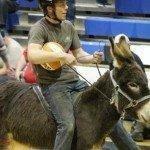 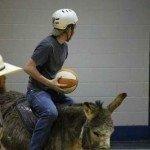 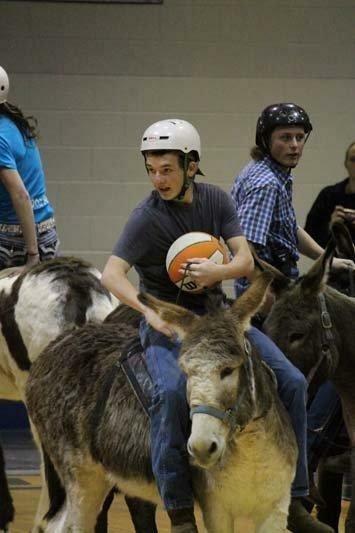 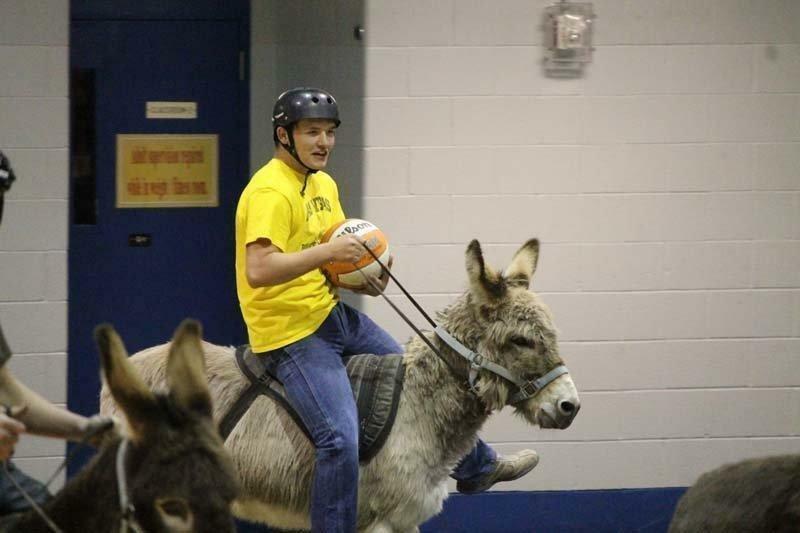 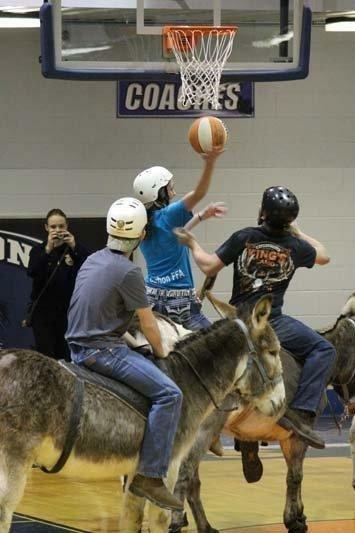 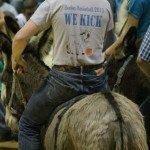 Young riders saddled up donkeys at Carbon High on Friday evening for an unusual game of basketball. 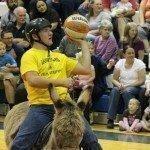 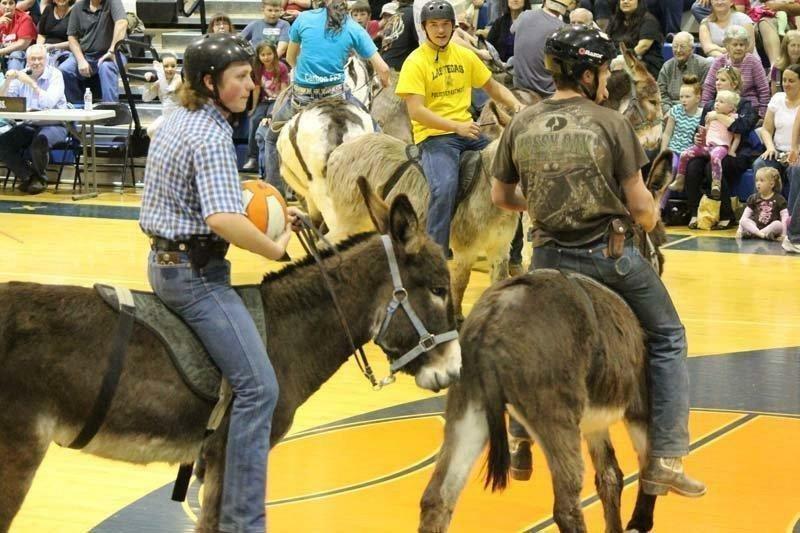 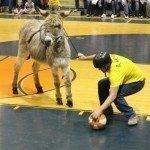 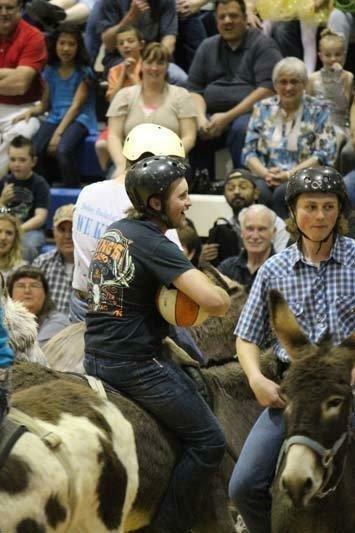 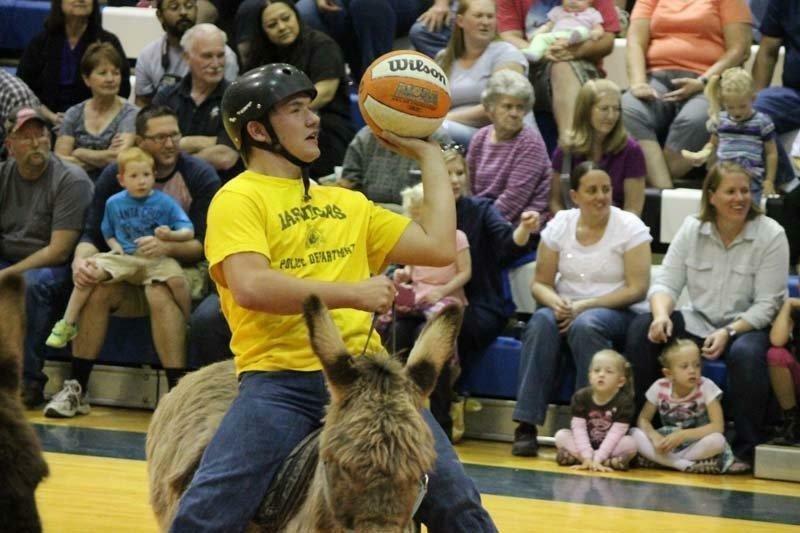 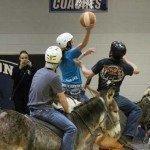 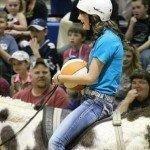 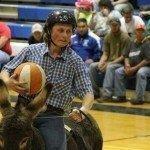 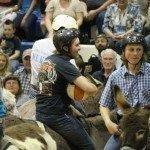 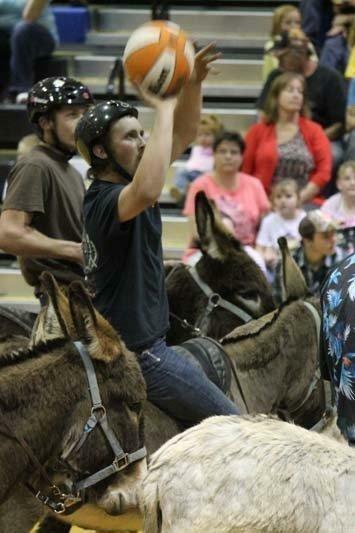 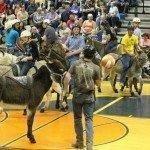 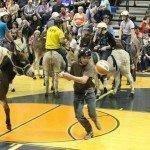 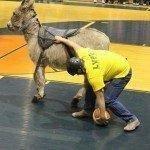 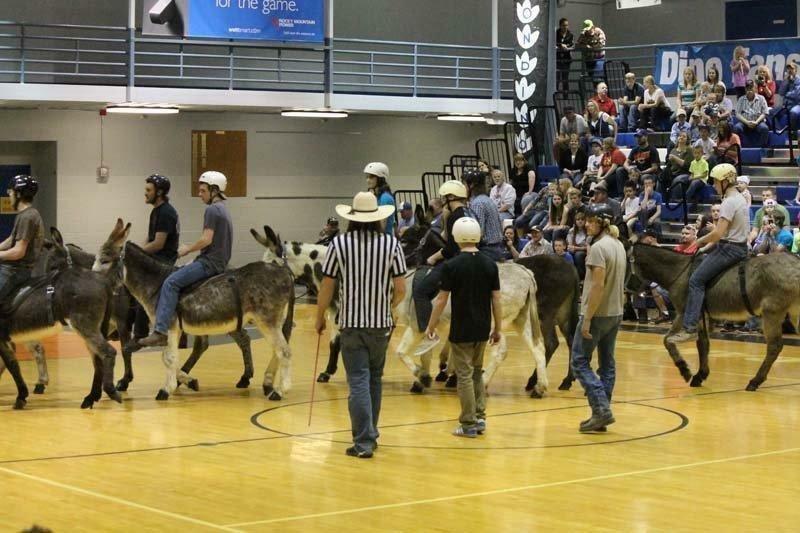 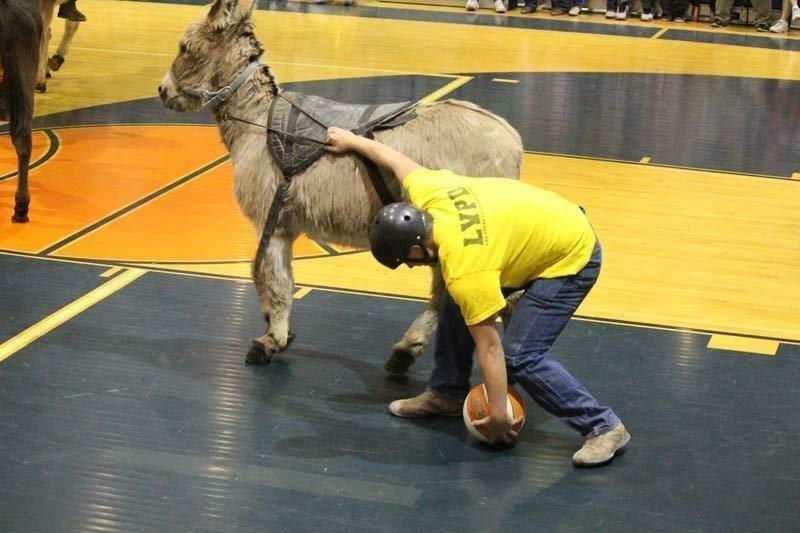 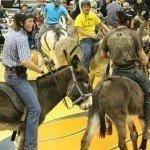 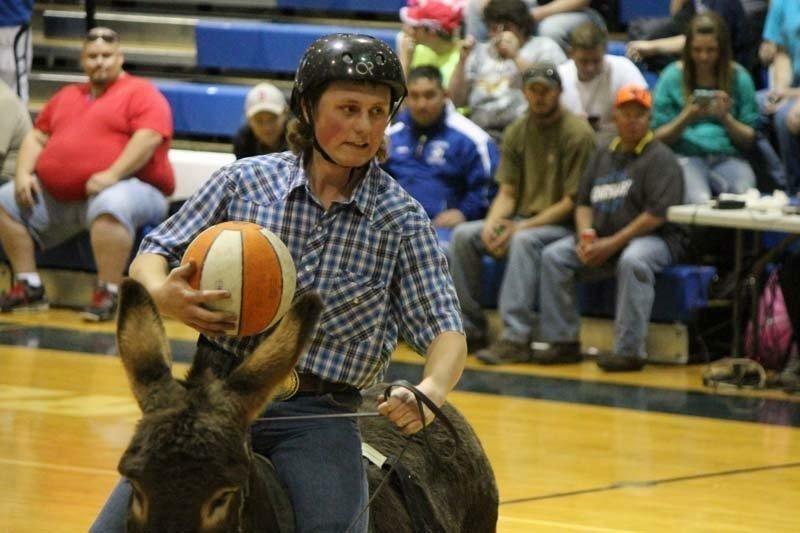 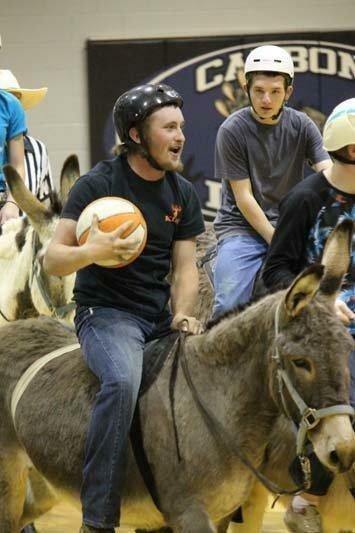 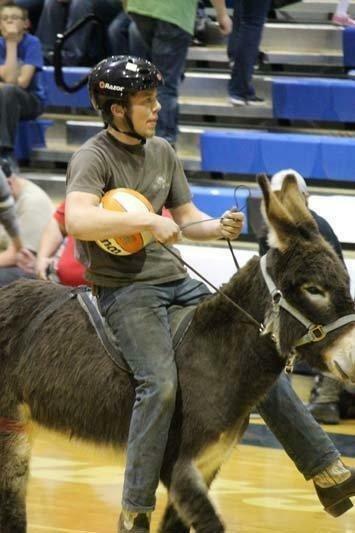 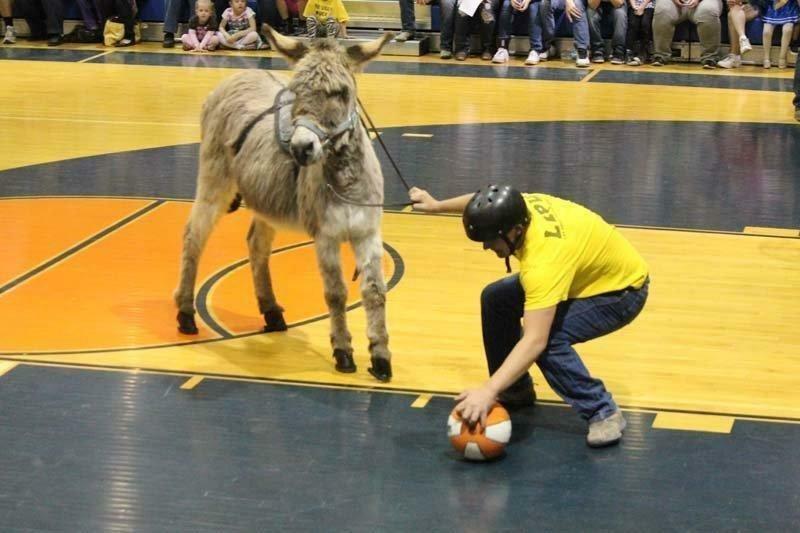 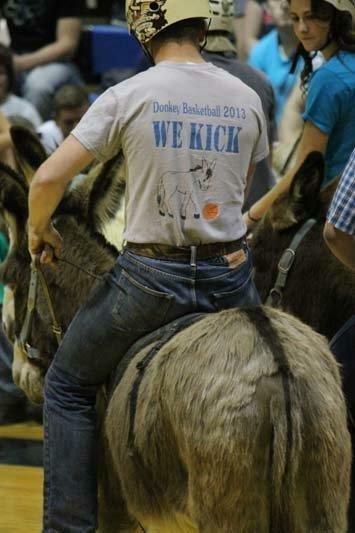 The annual donkey basketball game is hosted by the Future Farmers of America (FFA) from the high school. 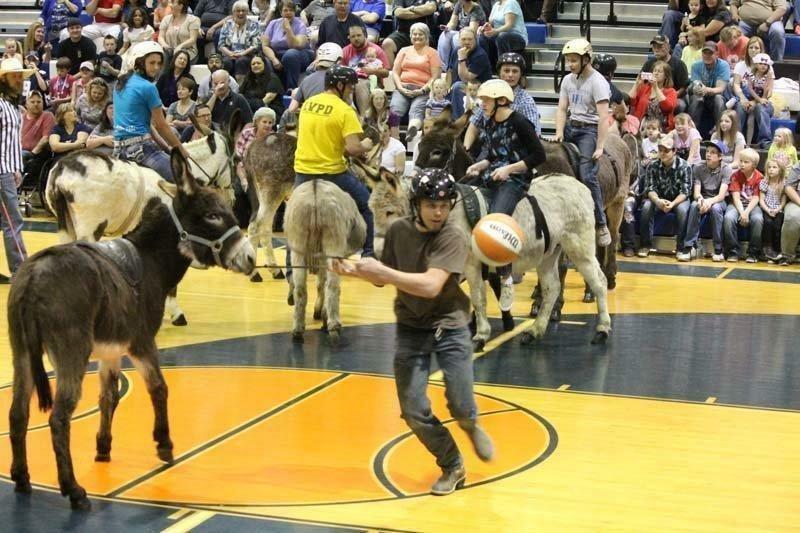 Two teams of three took the court with donkeys. 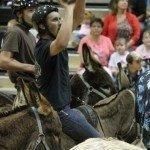 Audience members were treated to plenty of laughs from a few spills and some reluctant donkey players. 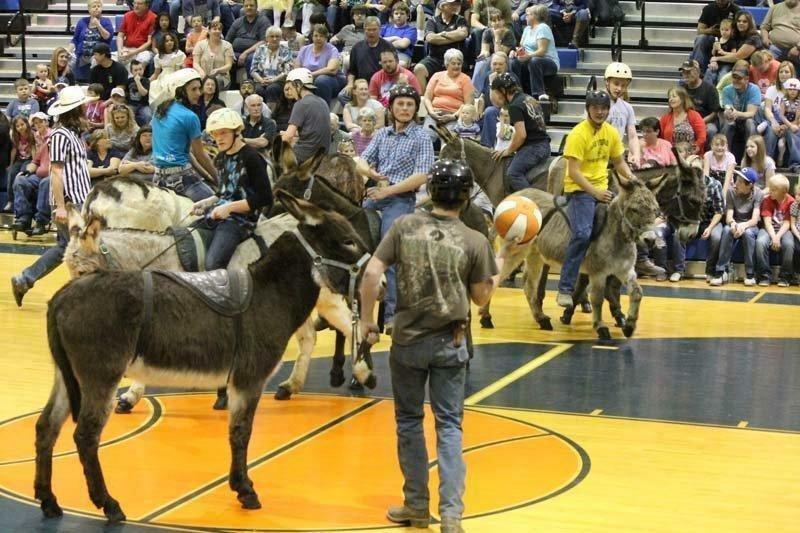 Also at the event, local dance groups performed and those in attendance were able to participate in a raffle.